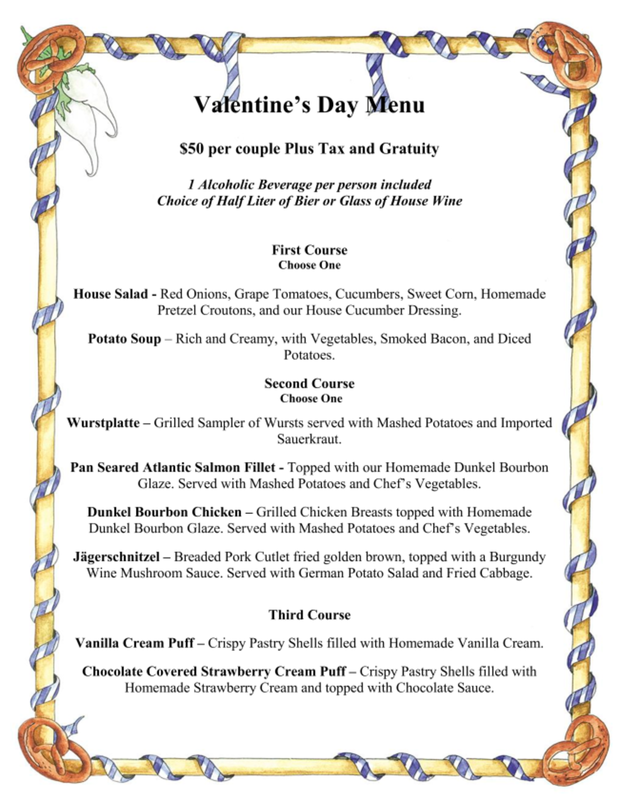 Celebrate Valentine’s Day ❤️💗at Hofbrauhaus Pittsburgh! $50 per couple. Three courses, with choices for each course on the special menu! One beverage each is included. Plus, Special Entertainment By Button Accordionist Steve Grkman from 5-8:30 p.m!